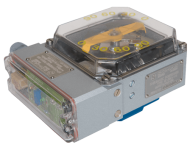 SOMAS actuators can be fitted with all necessary accessories to achieve the desired functionality. Valve positioners SP405/SPE405 and EDP300 are the most common accessories for our control valves. 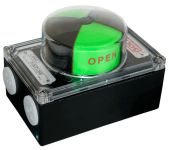 We also offer solenoid valves and limit switches that can be used with our on/off valves. SOMAS pneumatic valve positioner (type SP405) and electro pneumatic valve positioner (type SPE405) are used for actuators with 90 degrees of turning. They can easily be installed directly or by using our patented fitting blocks. Handling of the air supply for on/off applications is done with the help of solenoid valves, which are fitted directly on the actuator. 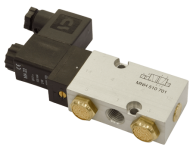 SOMAS offers solenoid valves from well-known manufacturers and there are also special solutions for specific functionality available. The connection between a solenoid valve and actuator is either made with a plastic hose or a pipe made of stainless steel.